New voice, new danger from NWOBHM nearly-men. 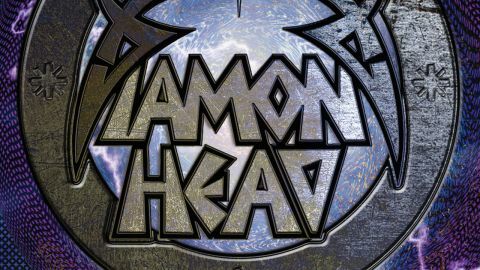 Early-80s Black Country metallers Diamond Head have long-since been upgraded from footnote to full mention-in-dispatches in the official potted history of British rock, thanks in no small part to the patronage of Metallica. That hasn’t protected them from the usual struggles of respect-rich, success-poor musicians, and they release this eponymous seventh album – their first in eight years – with Rasmus Bom Andersen replacing vocalist Nick Tart. He’s closer in style to original frontman Sean Harris, and that helps the breathlessly uptempo opening pairing Bones and Shout At The Devil (no relation to the Mötley Crüe track) sound all the more invigorating. But once again it’s Brian Tatler’s riffs that fuel this band’s fire, as evidenced by the twanging snarl that underpins Set My Soul On Fire’s juggernaut chug. But they also break out of their own generic straitjacket now and again – All The Reasons You Live has an anthemic quality enhanced by some well-placed string accompaniment, for instance. All things considered, the new line-up has done a sterling job of preserving their classic sound while dipping their toe in less familiar waters.